Life is full of uncertainties and mishaps. Anything can happen at any time, but you cannot keep uncertainties away, you can always keep a check on them. Many people believe that choosing lucky numbers, crystals and lucky stones help in maintaining a balance in life. Constructing a home according to the spiritual guidelines brings prosperity, harmony and wealth in the house that is why people prefer constructing a place according to Vastu Shastra. From ages, Vastu Shastra is recognised as a study of architecture according to the Hindu traditional system. Vastu is a Sanskrit term which means a house or a foundation of the house whereas Shastra means teaching. When Vastu Shastra comes together, they become a science of dwelling or architecture. From ancient era, Vastu Shastra is considered a logical and scientific manner to construct a house which brings luck and happiness. There are different rules in Vastu Shastra according to directions and elements of nature. There are eight rules for primary directions standing for eight particular things and thus helps in channelizing the energy in all the directions. Apart from directions, there are five elements of nature that constitute the foundation of Vastu Shastra. In Vastu Shastra, these five elements are known as Panchabhootas from which the entire world is made up of. Have you ever heard of Air, water, fire, earth and space? Well, these are the five elements due to which life prevails. In Vastu Shastra, it is said that with proper placement and usage of these five elements and according to the directions, many benefits and advantages are bestowed on a person or house. For a healthy, wealthy and contented life, it is very important to grow socially, physically and spiritually. But, when dark clouds gather round the sky, problems cover the happy mind and throw away contentment from life, it becomes vital to take spiritual help. Vastu Shastra has the power to change the outlook of the place by just placing some items at its right place. •	Better Life: From the past so many decades, people are understanding the importance of Vastu Shastra and appreciating the concept a lot. What is the reason behind such appreciation? Vastu Shastra aims towards drawing and concentrating positive cosmic energy in people’s lives which help them in succeeding in their work as well as personal life. •	Togetherness: It is a known fact that cosmic energy, solar and lunar forces have the power to control the environment. Our nature is full of vibrations, and for a happy and successful life, it is important to keep the vibration of the surroundings strong and positive. Vastu Shastra has the power to keep the vibrations of the house positive, emotionally as well as spiritually. •	Bid Adieu to Negativity: Often it is said, that vibration of a place constructs the vibrations of the soul. If the vibrations of the surroundings are negative eventually a person will feel agitated and negative, on the other hand when vibrations of the house are positive and energetic, a person attracts and feels the same. Vastu Shastra is an art of blowing away all the negative vibrations from the place and fills the place with positivity and freshness. Well, now it is pretty much clear, the study of Vastu Shastra and constructing a place according to Vastu Shastra is very important for a happy life. The vital elements of nature must be kept according to their directions to lead a harmonious and fruitful life. 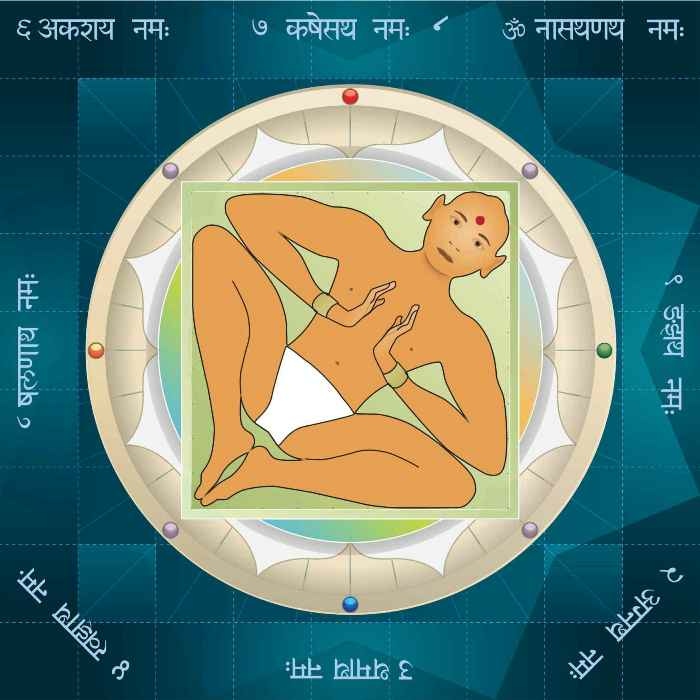 Still feeling confused about Vastu Shastra? How does Vastu Shastra Works? What are the benefits of Vastu Shastra? •	Inner Realisation: A contented and happy soul is the one that is aware of his inner self. But, for self-realization, it is important to create an atmosphere that is long lasting and sturdy. Vastu is an art form that influences things that are built. It is a lesson which helps a person to realise the inner strength and ways to enhance the strength just by creating an outside atmosphere. •	Avoids Mishaps: One of the greatest advantages of Vastu Shastra is that it has the power to decrease the frequency of suffering and loss. It has the power to channelize the energy to help a person handle any situation in a right and comfortable manner. Vastu helps a person with support and comfort and helps in dealing with drastic situations. •	Inviting Positive Vibes: The main purpose of using Vastu Shastra in the construction of houses is to channelize positive energies and happy vibrations in the right direction. When all the elements are placed according to the principles, life automatically becomes easy and comfortable. •	Proper Structuring: Being an art of architecture from ages, Vastu Shastra is known for good structuring. A house built according to the rules of Vastu will always be properly ventilated, clean and spacious place. •	Love and Harmony in personal relationships: Vastu Shastra promotes calmness and peace of mind which brings harmony in the relationships and cooperation among individuals. •	Spiritual Knowledge: For the people who have a keen interest in spiritual knowledge and artefacts, Vastu Shastra is the key for them. This form of study is full of unique knowledge, experience and experiments which not only help a person in learning something new but also brings clarity towards life, death, souls and elements of nature. •	Strength and Power: For a person, having mental and physical strength along with power is very important. Vastu Shastra is certainly all about strength and power; one can learn a lot about nature, energies and balancing which in turn increases your strength and power. To conclude, living a problematic life is tiring, why not take a wise step and start your life according to the Knowledge of Vastu Shastra and make your life and house a happy place.